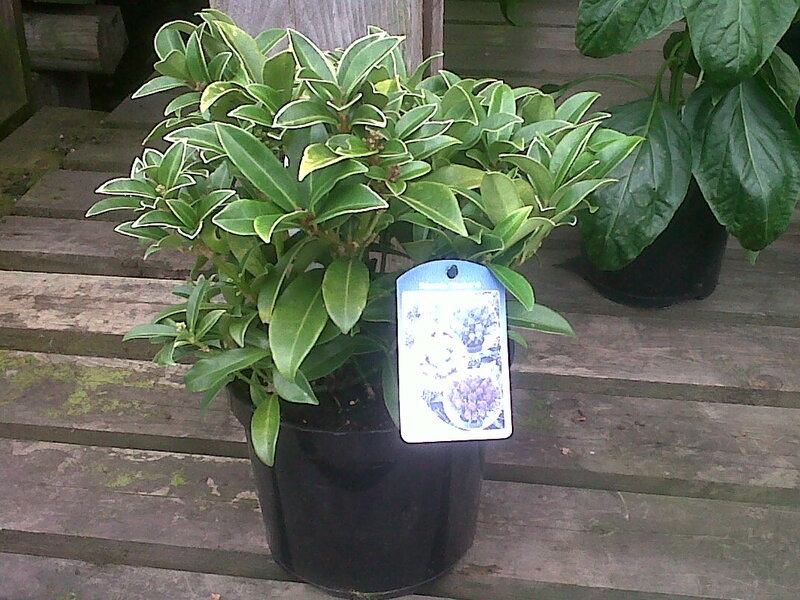 Welcome to Skimmia.co.uk, the internet biggest Mahonia site offering FREE information on this magestic plant! Skimmia are available in many varieties with Skimmia Japonica being one of the most popular in the UK. Skimmias, depending on the variety grow to around 70cm tall and are an beautiful evergreen shrub which have dark green leaves (some with a cream or red edge to them) and Skimmia produce red flower buds in autumn and winter which is there prominent feature which later in Spring open out into fragrant white flowers. Skimmia are dioecious shrub which means that you get male and female plants so you need to ensure you have a a pair, a male and female skimmia to get fruits. Depending on the variety will depend on whether you have got a male or female variety, for example Skimmia ‘Rubella’ is a male variety and Skimmia Japonica ‘Nymans’ is a female variety and produces red berries. for 20 minutes and then plant to the same depth as the original soil level, basically never plant up the stem of the plant as this can damage the plant and sometimes even kill the plant, as a general rule of thumb this is the base for most plants. 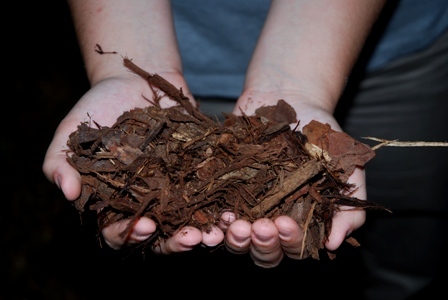 When planting we recommend adding a small amount of bone meal as this will encourage new root growth in the spring when they are actively growing. 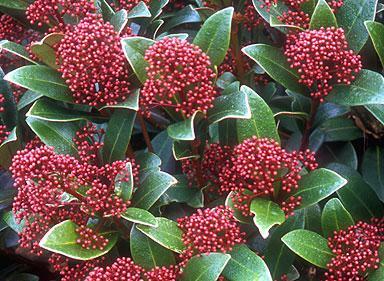 Skimmia are quite hardy but will benefit from a layer of well rotted organic matter or mulch around the base of the plant to protect the roots from hard frosts. Skimmia are generally disease free which makes them easy to grow and easy maintenance, however they can suffer from Red Spider Mite. Red Spider mites are actually not a spider all though they do form Webb’s, the are so tiny that at first they are hard to spot and despite there name are normally green in summer. To help prevent them you can spray plants regularly with a fine mist of water as they like dry conditions so this helps prevent them. Provado Ultimate Bug Killer is also good and is available as a concentrate and as a ready to use sprayer.